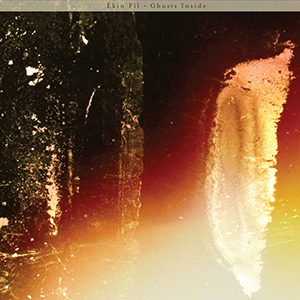 Brainwashed - Ekin Fil, "Ghosts Inside", "Inflame"
Ekin Fil, "Ghosts Inside", "Inflame"
The Turkish artist Ekin Fil (also known as Ekin Üzeltüzenci) follows up her excellent 2016 LP Being Near (also available on Helen Scarsdale) with two distinctly different, yet both exceptional new releases. The reasons for these differences are obvious, with one being a conventional album and the other a film score, but each also cast a focus on different aspects to her work, with the former emphasizing her unique pop sensibilities within a traditional song framework, while the latter her approach to electronics and production. Ghosts Inside is the more traditional LP of these two releases, and most in-line with Being Near. It is a suite of 11 songs, most of which heavily feature electronics, deeply treated guitar, and her distinct vocals to superb effect. Opening song "Let Go" is rather indicative of much of this album from its start: sparse piano lingering under heavy reverb, casting a rather bleak shadow, as her breathy vocals rise from the darkness like a spirit. Around this she creates a space of abstract, textural electronics that give the otherwise conventional arrangement an additional layer of distinct depth. For "Simple Past" she employs a similar approach: depressive, minor key piano coupled with distant vocals that are largely obscured, but all the while the piece is wrapped in an excellent sense of mood and ambience. "Final Cut" is comparable, although the vocals are sparser and there is greater use of static-like textures to the mix. The emphasis shifts to electronics on "Before a Full Moon" and, paired with the beautiful vocals, the piece drifts into heavier and gloomier territories, underscored by churning pseudo-bass rhythms. Üzeltüzenci’s use of field recordings in “Episodes” also adds a nice dimension, giving a bit of familiar feel to the pulsating keyboards and low end rumble that sounds more like an alien pop song than anything else. While there does seem to be a recurrent shadowy intimacy to Ghosts Inside, it is not that monochromatic. The electronics on "Fin" have an ethereal lightness to them that, when blended with less decipherable recordings and crumbling electronics, ends up resulting in a lighter, though not necessarily jovial mood. Skittering electronics and well-utilized delays push "Like A Child" into a more rhythmic place that is further refined by her light, delicate vocal performance. 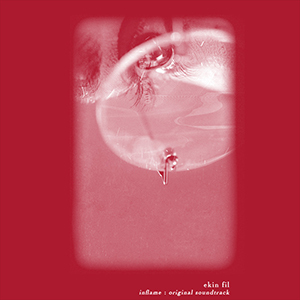 The other new release, the cassette Inflame, is Ekin Fil’s soundtrack to the Ceylan Özgün Özçelik film of the same name. Here her electronic and production work takes the forefront via a set of 19 short interludes and film cues that emphasize her synth and sound design work over her vocal and traditional songwriting that defined Ghosts Inside. Because of this, it may not work quite as well as that record does in a traditional sense, but there is a lot of brilliance here as well. Some of these miniatures are not that far removed from her other album work, barring the lack of vocals. 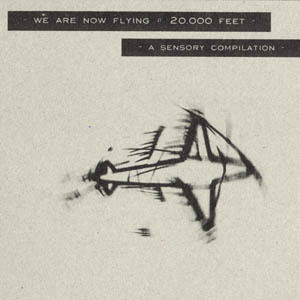 "The 360∞ (Opening Credits)" and "The Verdict" both heavily showcase rhythmic synth sequences and an understated complexity, with even some percussion in the latter. Ekin Fil’s occasional implementation of drum sounds is also a distinct facet of Inflame, such as in their big, echoing form that contrasts the droning electronics on "Another Past" nicely balancing the two disparate types of sounds. The rhythmic sounds also appear on some of the less musical pieces as well: "Edit History" is all drums and massive subbass, but as a whole it feels more like sound effects than what I would normally consider music. For "Hasret" she utilizes a nice palette of glitch effects, white noise, and arpeggiated synths that build to a more chaotic, dissonant ending, melding the worlds of noise and music. The opening moments of "Delete History" are straight up harsh electronics, but eventually become reshaped into lush, multilayered tonal drones. It is difficult to pick a preference between Ghosts Inside and Inflame. At times I felt some of the songs on Ghosts Inside were a bit too similar to one another which, given their relatively short durations and other, more varied pieces, is not that much of a detriment. On Inflame, there were some of the pieces that I wish stretched on for many more minutes, but with most of the durations hovering around a minute or two, simply came and went too quickly. These limitations do not negatively impact either album, however, and both are exceptionally executed records that continue to display Ekin Fil’s beautiful approach music. With Ghosts Inside covering the songwriter and Inflame the sound design and electronic facets of her sound, both are distinctly different yet complement each other perfectly.